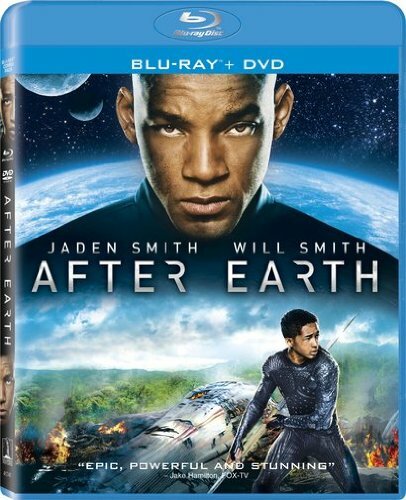 After Earth is a Will Smith and Son project directed by M. Night Shyamalan. Smith is credited for the story and the M. Night Screenplay was co-written by video game and Book of Eli writer Gary Whitta. The movie would work much better as a game actually, as the set-ups and stages lend themselves to more potential action a player can create then what actually occurs on screen. The resulting movie seems like a bad adaptation of a game that never even actually existed. The look of this futuristic sci-fi tale is not bad. The fanciful architecture of the canyon dwellings notwithstanding, the more practical materials and designs present styles and textures that befit a proper narrative. Beyond that, there is less to enjoy or respect. The narrative is slow and empty. Will Smith’s story had great potential, as I said it would probably be a really fun video game and it could have been a thrilling movie. The story of a father and son crash landing on a hostile planet, both of their fates resting on the son’s ability to cross the alien terrain and retrieve a beacon from a lost portion of the ship, is very enticing. 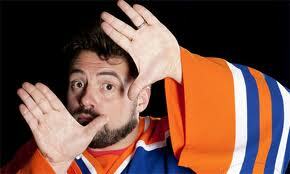 But it misses the mark with lackluster performances and noncommittal challenges for the hero on his quest. Without properly fleshing out the skeleton of a story, yet presenting it as an exceedingly long feature, it unravels slowly and becomes tedious in no time. Conflicts arise predictably and are quickly delt with, abandoning the promise of thrill or adventure. The strained relationship between the characters never gets pushed to the point of real drama so the turning point comes suddenly and subsides leaving all the scenes around it wanting for more of anything relatable, threatening, endearing, or otherwise. Without the spark of passion or inspiration from the actors or director, it is like watching grown men anguish over completing a child’s connect-the-dots puzzle. The choices decided on in the process, such as miraculous occurances that save the hero in times of despair, are questionable, but really don’t matter, because the movie is a bore, regardless of how, or why. I’m a big fan of Unbreakable and I have been a supporter of M. Night up until The Last Airbender. I even liked The Lady in the Water. I felt that movie delivered exactly what it promised. I never expected him to make another The Sixth Sense and have enjoyed the bulk of his work. I was hoping this movie would serve as a sort of comeback or show somehow that he had once again found his way. But the movie is a disappointment that casts doubt in even my mind as to whether, or not Shyamalan can ever again deliver a substantial movie.